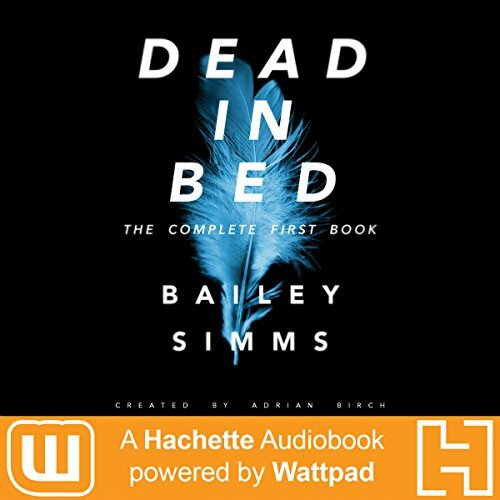 Dead in Bed by Bailey Simms is a new release from Hachette Audiobooks: Powered by Wattpad - an innovative collaboration between Hachette Book Group, a leading publisher, and Wattpad, a passionate storytelling community of over 45 million people. Your favorite online stories, now available in your headphones! Dead in Bed by Bailey Simms: The Complete First Book follows Ashley Young after a sexually transmitted plague breaks out in her small town. When the plague begins leaving its victims with a bizarrely amplified libido, Ashley has to be willing to do anything - no matter how difficult or morally questionable - in order to survive. Meanwhile, a metanarrative follows Bailey Simms, teen author of Dead in Bed, while she's stuck writing at home with a rare medical condition. As Bailey's book grows in popularity and her fans start to clamor for the sequel, she learns that being a successful author may come with a terrifyingly dangerous price. Dead in Bed is a fast-paced horror/comedy/romance with unique plot twists you won't see coming! The concept is brilliant and unexpected. You won't be disappointed! Intensely disturbing! More nightmares than all of the Resident Evil movies could have produced!! Did I finish the book? Yes. Will I listen to book 2? Of course!! !